Kylie is currently a freshman at Padua Academy. Kylie lives in Aston, Pennsylvania and has no siblings. She has eight fish but has only named three: Swimmy, Bubbles, and Fishy. Kylie’s favorite book is Hunger Games by Suzanne Collins. Her favorite animal is the turtle, and she is afraid of spiders. Kylie likes to shop as much as she can. Some of her favorite stores are Hollister, American Eagle, and H&M. She loves to go to the mall and hang out with her friends. She loves Disney World, but the last time she went was in 2015. In the summer, she enjoys going to the beach. Before Padua, Kylie attended Northley Middle School. She decided to go to Padua because of the academic reputation and amount of available opportunities. Kylie has played both soccer and basketball since second grade and is planning to try out for Padua’s teams. 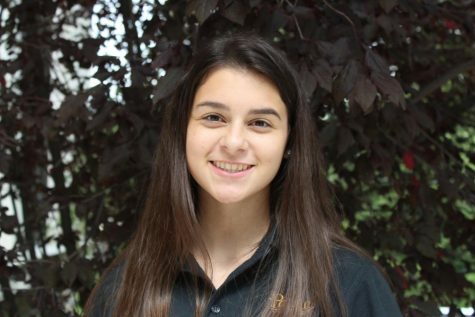 After graduating from Padua, she hopes to go to Penn State or University of Pennsylvania to become a physician’s assistant.